I don’t imagine that Mum ever made these as the spicy red curry paste wasn’t something she or Dad would have liked, but for those who don’t feel that way this recipe sounds like a great way to jazz up the humble rissole. 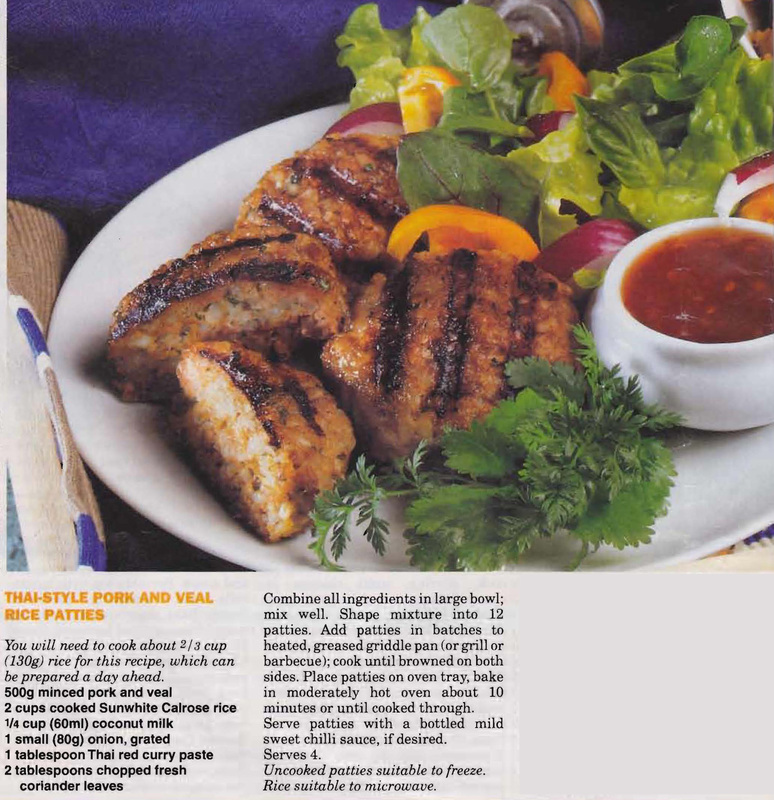 This entry was posted in All Recipes, Main Dishes, Pork and tagged 1990s, coconut milk, coriander, minced pork and veal, red curry paste, rice, thai style pork and veal rice patties by bebsrecipes. Bookmark the permalink.